I've noticed that most comedy movies seem to rely on head-shots of their cast to sell the film in their publicity material, so it's no surprise that Reese Witherspoon's latest romcom, How Do You Know, doesn't try to break with convention. What is refreshing for a change is that at least their faces are surrounded with a different splash of colour, rather than just white, to make the billboard a bit more visually interesting. 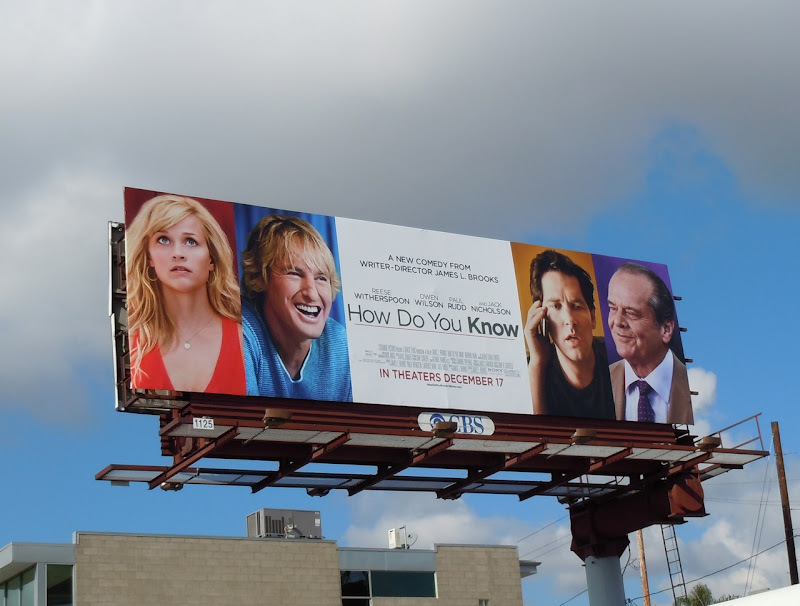 This vibrant billboard was photographed on the corner of Melrose and Highland Avenue in L.A. on November 24, 2010.